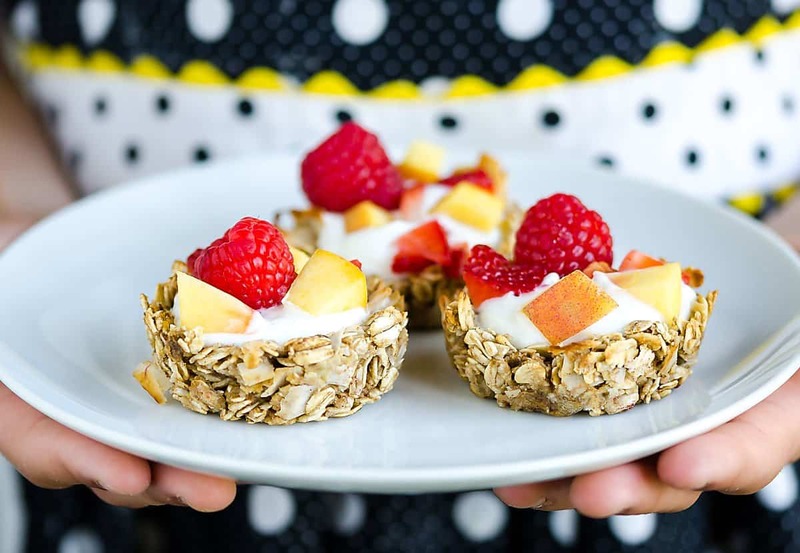 These Breakfast Granola Cups are perfect for holding your fruit and yogurt. 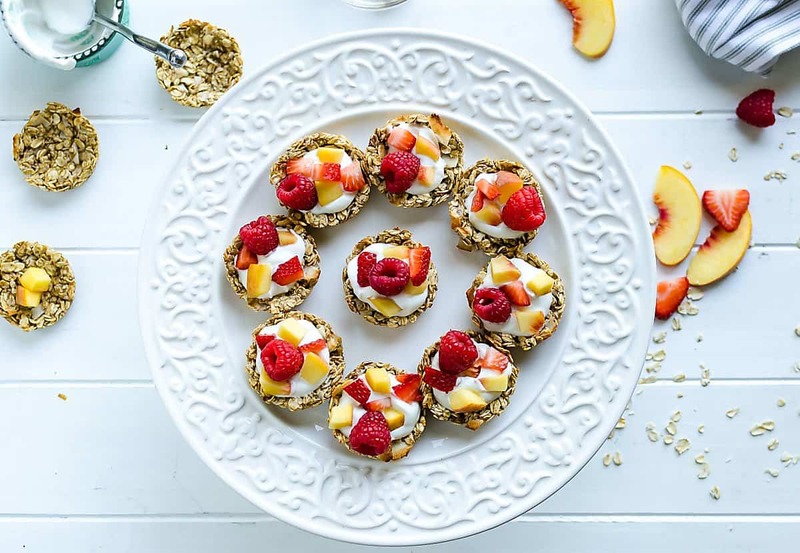 But don’t stop at breakfast, they make a great snack or even dessert! School is back in full swing! The end of summer was a bit of a whirl wind. We had an awesome family vacation. So we jumped into full gear, like you need to, had the visitation and funeral and are now dealing with the aftermath. I have a lot of emotions and thoughts rolling around, and hope to share them when they get organized in my head. For now, I rejoice that he’s with my mom in heaven, yet, he will be greatly missed. Celebrating a special day or season? This Maple Apple Crisp is incredible. Need chocolate? Brownies are always a winner. Healthy Comfort Food? Turkey Chili to the rescue! So one day last week, I brought one of my daughters to Meijer with me. As we head into the produce department, there was a display with tear off recipes on it from Produce For Kids. It caught her eye immediately and she gravitated towards it. “Look Mom! There’s recipes, can I take one?” I could tell she was having a hard time deciding. I know she wanted them all, but was also thinking– I shouldn’t take them all, that would be greedy. Of course, they’re meant to be taken. We added the ingredients to our grocery list so we could make a couple recipes that week. 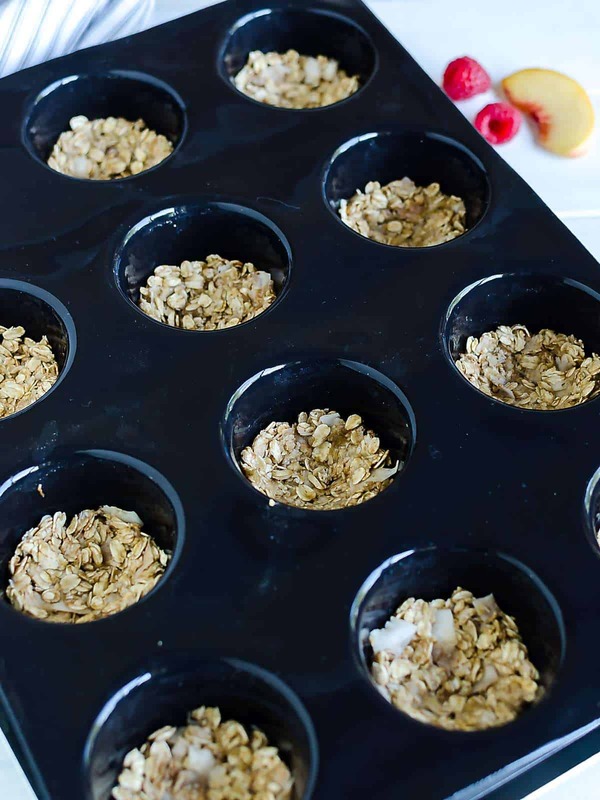 These Breakfast Granola Cups was the first one we made. It’s so easy, she could make it herself, and did most of it on her own. We enjoyed some of them right away, and the rest as breakfast the next day. 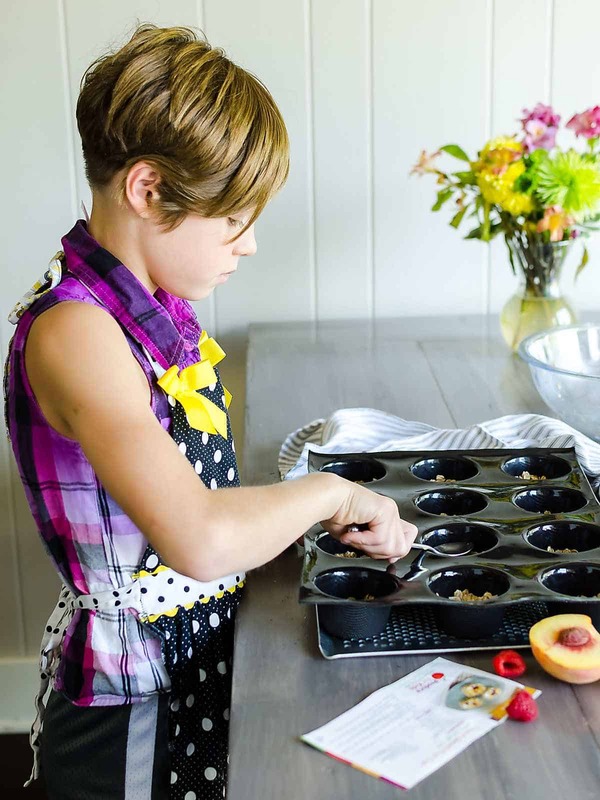 Check out more great healthy kid-focused recipes here. 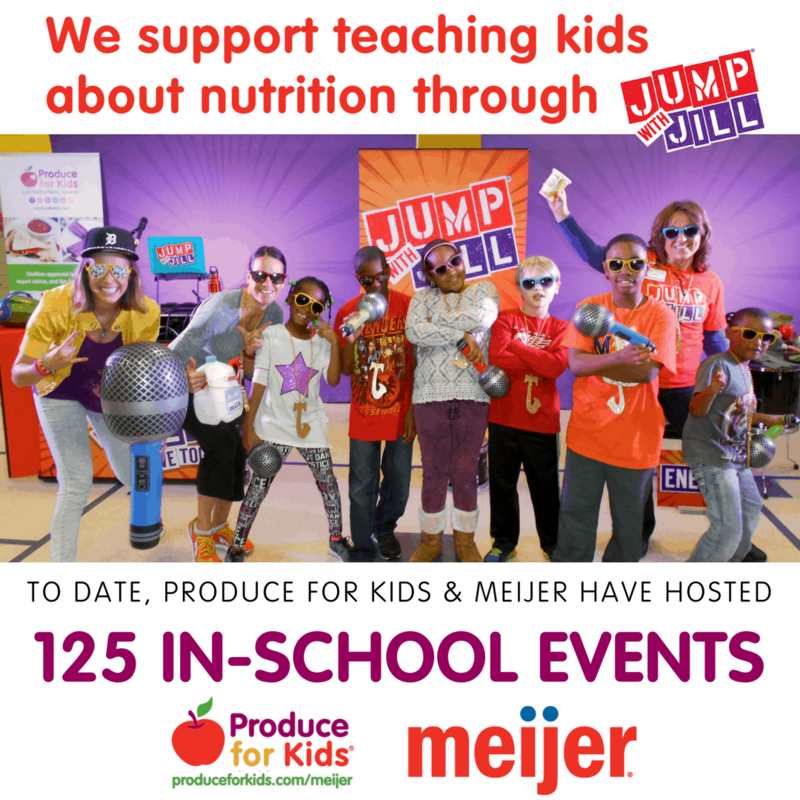 The reason Meijer had these fabulous recipes on display is this awesome partnership between Meijer, Produce For Kids, and Jump with Jill. This #PowerYourFamilyMeal Campaign raises funds to bring nutrition education to local schools. Check out the Jump with Jill website with your kids. It has catchy songs and upbeat dance moves to engage kids on the subject of health and leave them empowered to eat better. What’s even better though? You can help support just by buying some groceries! When you buy items from these sponsors in September, a consumption based donation will be made. Speaking of grocery shopping… you guys! I broke down and tried Shipt. Ya know, the delivery service? You put your order in, and it’s delivered. It’s GLORIOUS! (just imagine me saying that in a sing-song voice). I’ve been wanting to try it for months. Don’t know why I didn’t do it sooner. Want to try it too? Go to shipt.com/offer and enter code 6A3CB9A9K6B to receive a two-week free trial and $25 off your first order. Promo code will be active 9/3-9/30. 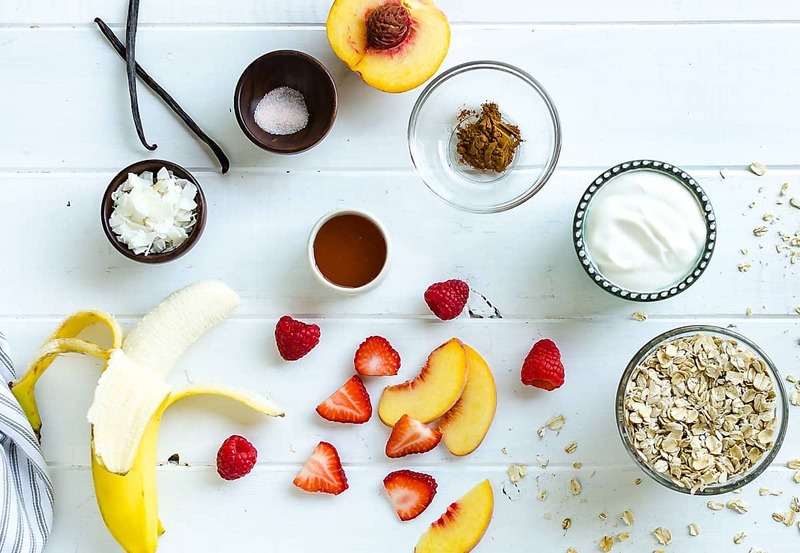 You can make your own vanilla yogurt by adding vanilla extract and some honey to plain Greek Yogurt. Omit the vanilla yogurt, and use plain with a squirt of fresh squeezed lemon juice and honey. I use this muffin pan and the perforated baking sheet, so there’s no need for cooking spray. Also the food is effortless to get out and it’s super easy clean up. This recipe was first posted on Produce For Kids. I adapted it ever so slightly. 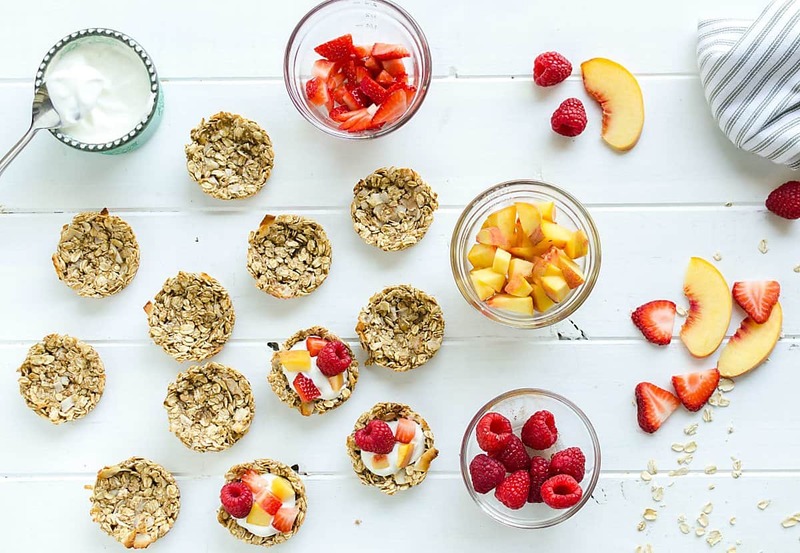 These Breakfast Granola Cups are perfect for holding your fruit and yogurt. But don't stop at breakfast, they make a great snack or even dessert! Preheat oven to 330° F. Spray 12 cup muffin tin with nonstick cooking spray (see note) and set aside. 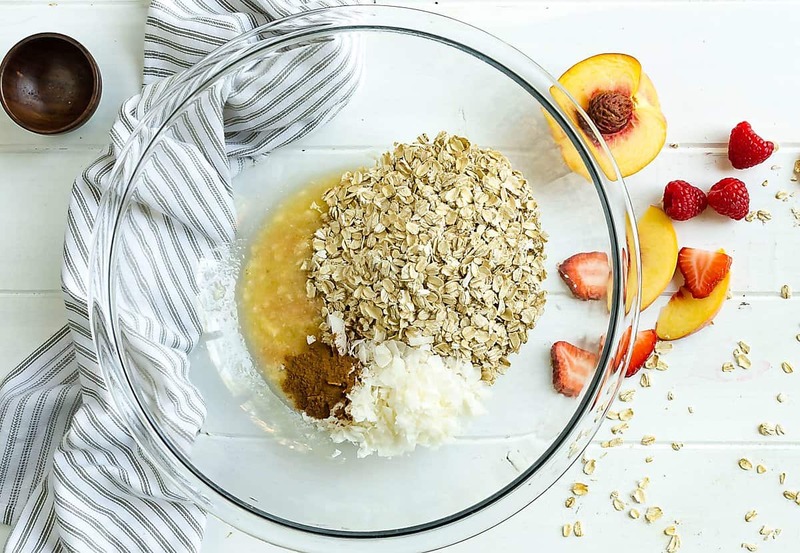 Mix banana, honey, and vanilla extract in large bowl. Add oats, coconut, cinnamon and salt. Mix well. Portion mixture into prepared muffi cups, pressing up the sides with a spoon to form a bowl. Bake 12 minutes, or until browned. Remove from oven and let cool 20 minutes before removing from muffin tin. 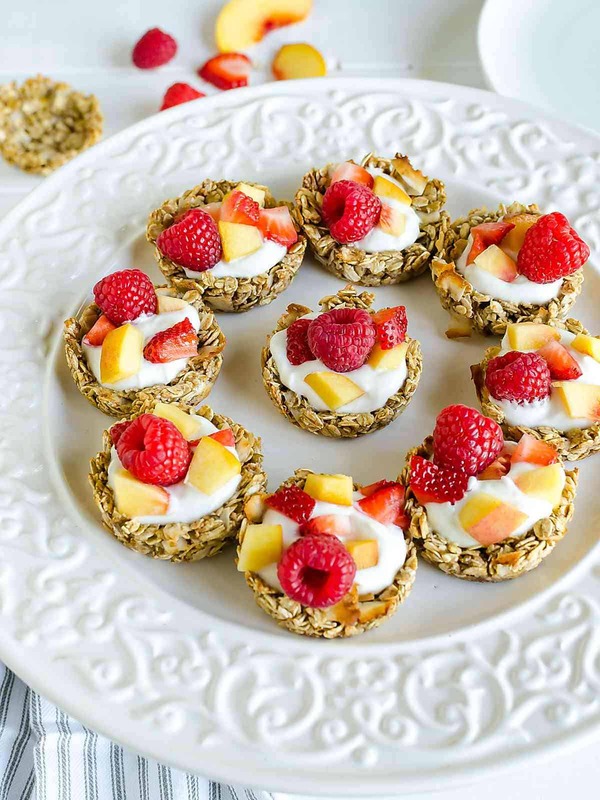 Fill granola cups with yogurt and top with peaches, strawberries and raspberries. I use this silicone muffin pan and the perforated tray, so there is no need to 'prepare' it with cooking spray. Food pops out easily and it's a breeze to clean up! For more recipe inspiration, follow me on Pinterest and Facebook. Like behind the scenes action? Check out my stories on Instagram. 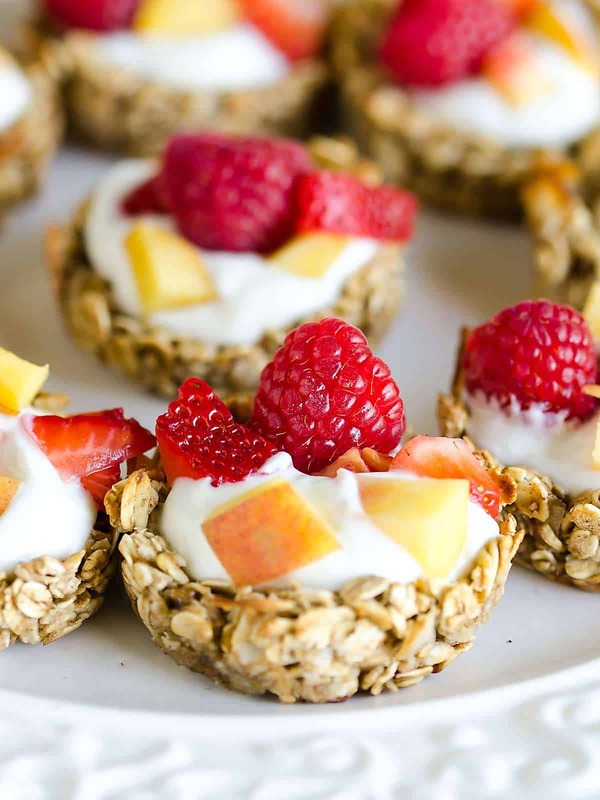 Enjoy these fabulous Breakfast Granola Cups! If you make them, tag me! @artfrommytable. P.S. 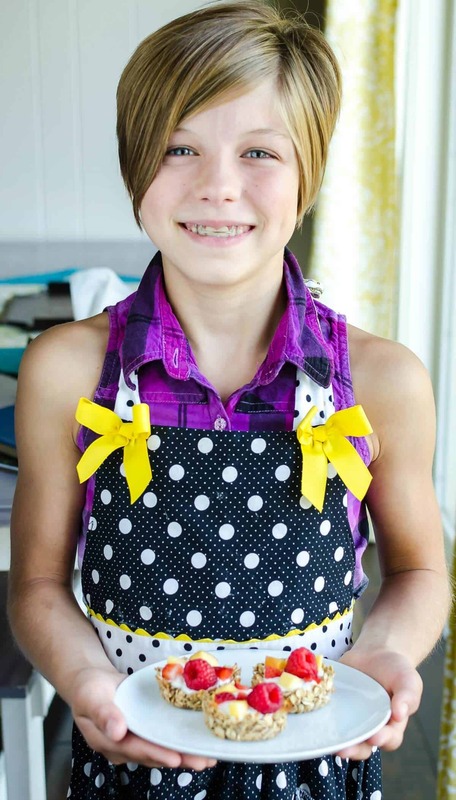 Follow Produce For Kids on Twitter and Instagram for even more recipes!